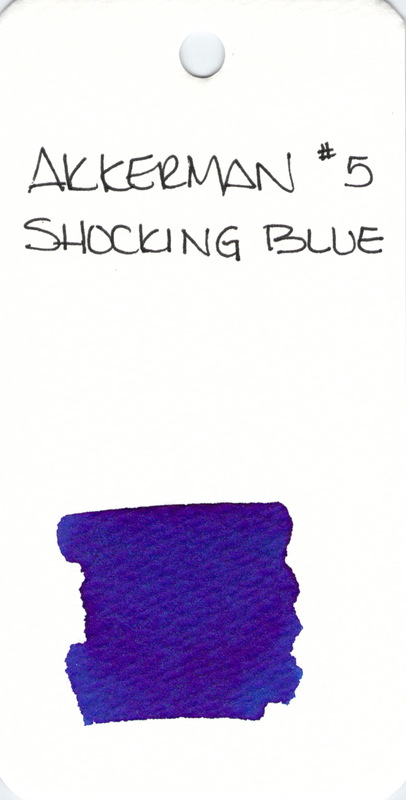 PW Akkerman Shocking Blue #5 is a terrific ink. I reviewed it in great detail along with some other blue inks here and here. Akkerman inks can be a bit of pain to find. I would suggest Diamine Majestic Blue as a suitable alternative. This entry was posted in INKS, LOVE and tagged akkerman, blue, ink swab by Christine (Pentulant). Bookmark the permalink. I ordered a bottle of Shocking Blue from Akkerman (along with some others) and it’s on the way! I can’t wait to try it.